Place the vehicle on a suitable stand. Out of specification -> Clean or replace. 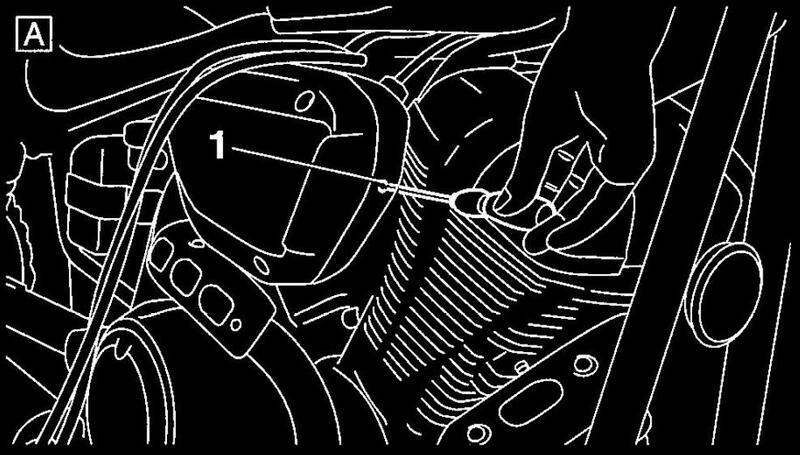 • Intake air pressure sensor hose " 1 "
• Vacuum gauge hose #1 "3"
• Vacuum gauge hose #2 "4"
• Intake air pressure sensor hose "5"
the air screw " 1 " of the other throttle body to adjust its vacuum pressure. second, and check the synchronization again. turns. Then, synchronize the throttle bodies. 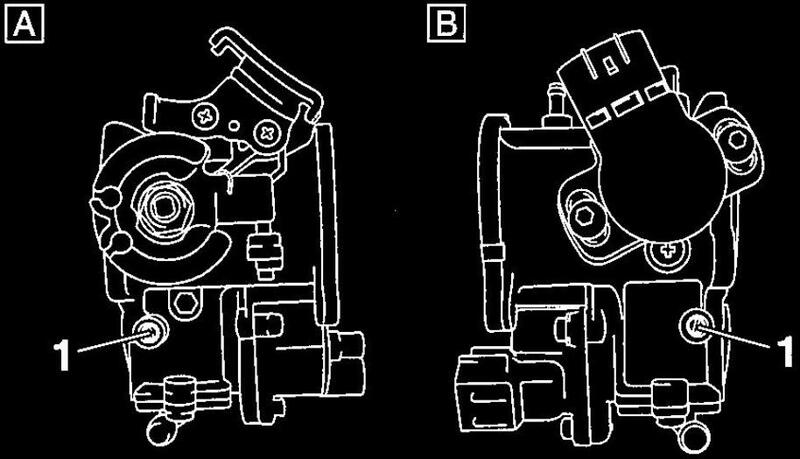 Do not use the throttle valve adjusting screws to adjust the throttle body synchronization. 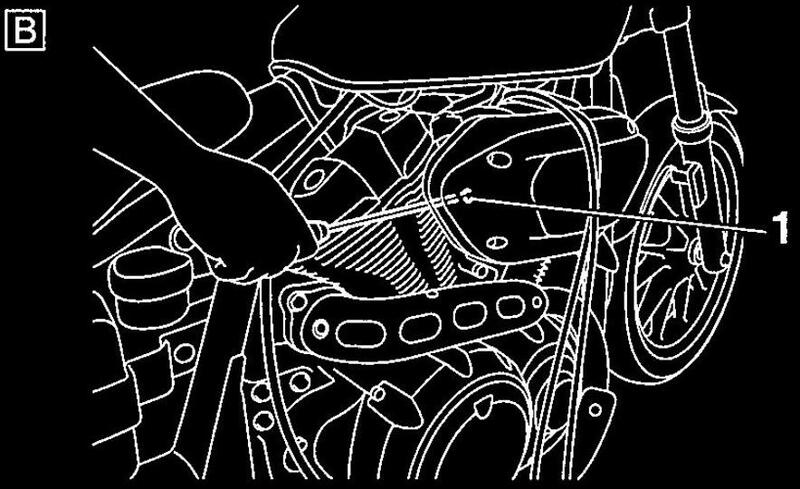 The difference in vacuum pressure between two throttle bodies should not exceed 1.33 kPa (10 mmHg). Make sure that the vacuum pressure is within specification. 9. Stop the engine and remove the measuring equipment.